Manipur with Imphal as its capital, is a North Eastern State of which we perhaps know little. Its people include the Meitei, Pangal, Naga, and Kuki, Zomi and Gorkhali(Nepali) who speak different languages of branches of the Tibeto-Burman family. The state is bounded by Nagaland, Mizoram, Assam and Burma. The recently concluded 15th Lok Sabha session saw many shades of histrionics ranging from an MP using pepper spray inside the Parliament house to other MPs incessantly and nonchalantly chanting "phaad do, phek do" as the controversial Telangana Bill was being discussed. Not only was, for the first time, the Lok Sabha telecast blacked out (the reason is still being debated), it was also the most disrupted Lok Sabha session in the history of independent India. Usually it is the Opposition that is guilty of disrupting the house, but in the Winter Session even Congress MPs from the Telangana regions were equally responsible for the din. It looks apparent that Parliament can't be proud of the legacy of the 15th Lok Sabha, which, many believe was an unusually painful chapter in the country's legislative history. Corruption was the dominant narrative. Ministers were sent to jail. Others demeaned the institution in numerous ways — disrupting proceedings, giving the short shrift to important legislative business, culminating in the unedifying spectacle of an elected representative showering pepper spray on the House. Through these years, UPA 2's policy paralysis and lack of governance was for all to see in the House. Faced with waves of corruption charges — from CWG to 2G and Coalgate, the treasury benches turned almost catatonic — there was almost complete absence of political and administrative direction. There were rare instances when both sides of the aisle joined forces —the Lokpal Bill, Telangana creation, amending criminal laws after the Nirbhaya incident, Food Security Bill etc., Disruptions were the order of the day, so much so that the 15th Lok Sabha witnessed almost a full session being washed away on the issue of JPC in the 2G spectrum scam. Parliament transacted normal business for only 24 per cent of its total time in the extended winter session that started on February 5. A report of the PRS Legislative Research said that in the 12 sittings in this period, while Lok Sabha lost 79 per cent of scheduled time to disruptions, the Rajya Sabha lost 73 per cent time to disruptions. Just minutes before it ended, Congress members were in the Well of the House holding placards demanding that the session be extended by two days for passage of anti-graft bills. The Opposition took digs at the ruling side asking how many bills it had passed in the past 20 years. Often there is reference of the Women’s Reservation Bill, currently pending in the Rajya Sabha, proposes to reserve one-third of the seats in the Lok Sabha and legislative assemblies for women. The 15th Lok Sabha had 58 women MPs – this is the first time their representation has crossed 10%. In this note, we describe the performance of women candidates and profile of women MPs. Though these women MPs regularly attended sessions, there was no participation in debates, nor did they ask any Questions….. !! 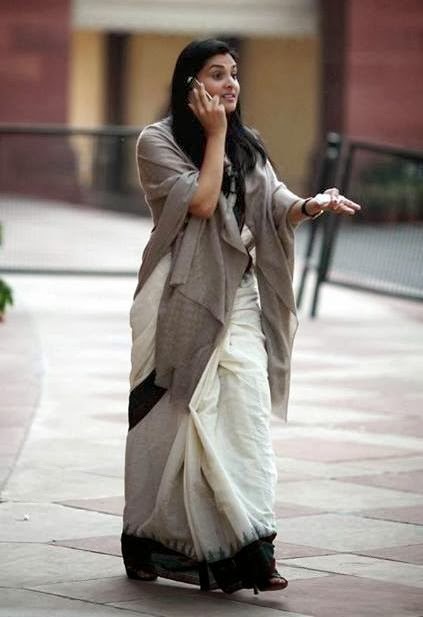 The youngest of the Parliamentarians were Hamdullay Sayeed from Lakshadweep at 31 and Ramya Divya Spandana from Mandya also 31. Nilesh Narayan Rane from Ratnagiri was 32; then there were Agatha Sangma, Feroze Varun Gandhi and Sarika Singh Baghel all 33. Today there was news of Ms Jayapradha who was elected securing 230724 votes. The youngest Divya Spandana (stage name Ramya) is a film actress too. Here is something found on the last page of The Hindu, ‘It was close to 5p.m. The sun had started setting and in an hour, there would be darkness all around. A man stood silently, taking in the surroundings of a place he had been a part of, on and off, since 1952. A place he said he would never come back to. The man at 94 is India’s oldest parliamentarian who has called it a day. 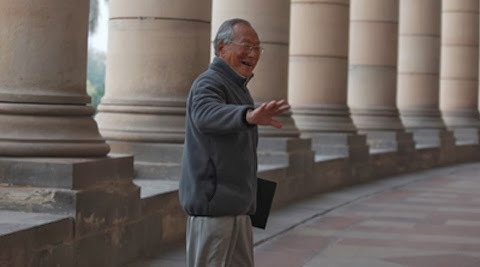 There was no farewell handshake from his fellow MPs from the Rajya Sabha, the chairperson or other employees although everybody knew that they would perhaps not see him again. He boarded his waiting car and silently left for his residence on Wednesday. I had earlier posted about him as being the living member of the Constituent assembly : http://www.sampspeak.in/2012/05/indian-parliament-turns-60-living.html .He was honoured too when the Indian Parliament celebrated its 60 years of existence. After becoming a Republic, first general elections were held in 1951-52 ; Lok Sabha was constituted on April 17, 1952 and the Lok Sabha held its first session, a month later, on May 13th. 60 years marks a very long time and it is indeed great that this man was a member of the first Sabha too. It is the Congress leader from Manipur, Rishang Keishing. Interestingly, he was not a congressman but a Socialist MP at that time. Rishang Keishing was born in 1920. Now at 94, Rishang Keishing has retired from politics. He has had a chequered political career, getting elected four times to Parliament, twice to the Rajya Sabha. A heavyweight in Manipur politics, he worked and manoeuvred his way to become the Chief Minister four times though he could not complete any of them, as in those days there was no anti-defection law and MLAs used to change parties for loaves and fishes. Mr. Keishing has worked with leaders who grace the pantheon of India’s contemporary political history, starting with Nehru. He cherishes their memory and respects every one for all that he has learnt from them. Though he started his political career as a socialist, he joined the Congress in 1964. In 1972, the United Naga Integration Council, which he floated, merged with the Congress on the ground that the “Congress has no objection to the Naga integration movement.” But life has not been all rosy. Many were against the movement for the vivisection of Manipur on tribal lines that he was part of. Mr. Keishing’s critics said Manipur, with its 2,000 years of written history, could not be divided to appease some sections. When pressed for a comment, Mr. Keishing told The Hindu: “ It was long time back, I do not remember much.” He continues to guide the NGO he started for the development of the tribal areas. Rishang photo – courtesy : Indian Express.